Following in the footsteps of Jim Bell’s successful The Space Book, Mars 3-D, and Moon 3-D, this large-format volume offers space enthusiasts an unparalleled visual experience of our solar system. 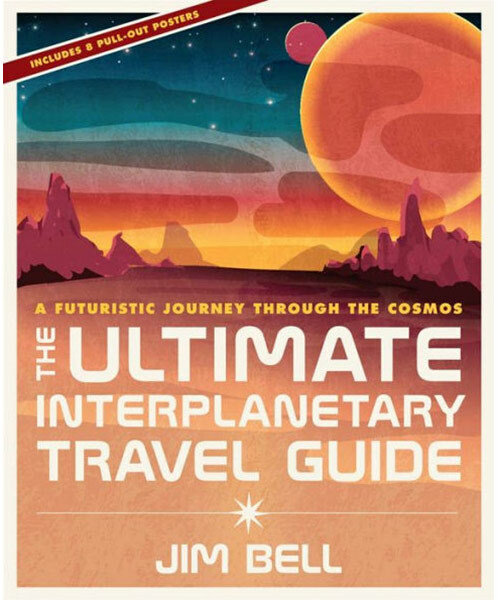 Featuring eight removable NASA posters highlighting the wonders of space, gorgeous full-color photography, and stunning art, Bell’s travel guide takes you on a futuristic tour of the solar system and beyond. Along the way, you’ll experience what it’s like to hike across lunar craters, soar through the winds of Venus, and raft down the rapids of Titan. Informative summaries of every destination are based on knowledge gleaned from more than 50 years of space exploration. The images provide a taste of the awe-inspiring destinations that we may one day reach, from the oceans of Europa to the newly discovered planets of TRAPPIST-1, while captions draw our attention to the unusual craters, ridges, seas, and storms captured by orbiting satellites, landers, and rovers.